Skeptics with a K is the official podcast of the Merseyside Skeptics Society. Each episode features Mike, Marsh and Alice chatting about stuff that interests them, often with a skeptical angle. Produced by Mike Hall, presented by Mike Hall, Michael Marshall and Alice Howarth. 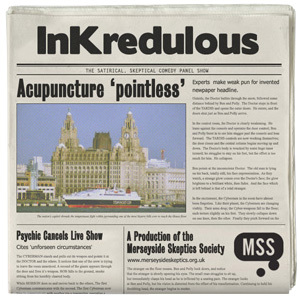 InKredulous is the skeptical, satirical, comedy panel show from the Merseyside Skeptics Society. The smartest, funniest and fastest skeptics around are invited to take part… and decline. So we make do with any old idiot with a copy of Skype. Produced and presented by Andy Wilson. 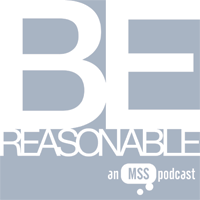 Be Reasonable is the monthly interview show which talks to people who believe ideas contrary to the mainstream scientific and skeptical worldview. Be Reasonable is about approaching subjects with respect and an open mind, engaging with people of differing viewpoints in an environment where debate is polite and good-natured, yet robust and intellectually rigorous. Produced and presented by Michael Marshall. Stronger cells, prostaglandins, the combined pill, and Pope Pius XI. Plus evening primrose oil, Stan & Ollie, vanilla pudding, and handsome John Rock. 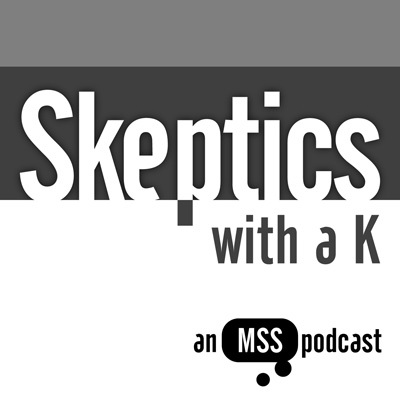 Taking a seven day break, it’s Skeptics with a K.
Get the latest information on our tenth anniversary event, MSSX, at mssx.co.uk. Tickets are available from February 1st. Quitting cheese, Qikipedia, hormonal stew, and contract research. Plus COMT, broken cafetières, air beds, and oscilloscopes. Happy New Year from Skeptics with a K.
Find out more information about MSSX at mssx.co.uk, tickets are available from February 1st.